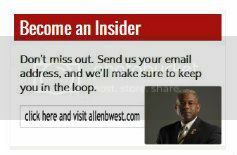 This entry was posted in Appearances and tagged ACU, Al Cardenas, Allen B West, Allen West, American Conservative Union, Artur Davis, Col Allen West, Colonel Allen West, Conservative Political Action Conference, CPAC, CPAC 2013, LTC Allen West, Luis Fortuño, Puerto Rico, WASHINGTON. Bookmark the permalink. Where is the Gaylord Convention Center? This reminds me of the former Soviet Union where, time and time again, the party would roll out the same LOSERs of the past and try to force them down the people’s throat, in this case the GOP. I mean come on, the only two that can make a decent run for the white house is Chris “krispy kreme” Christie who loathes CPAC, and CPAC frontrunner “W” brother Jeb Bush. I like his name implies Chris “krispy kreme” Christie, until he get his weight down and stops going to the Hospital (like on July 28, 2011) he will be just a noise, he is the only one that can win, but CPAC apparently does want to win. Jeb Bush, of course just has the problem that he was in charge of the Florida when his brother “W” got in the first time (what a joke) and where he passed the crazy “stand your ground” law and the remaining GOP party tried to stop US Citizens from voting by giving them long lines this last Presidential election , but hey, its Florida, its like a third world country down there.